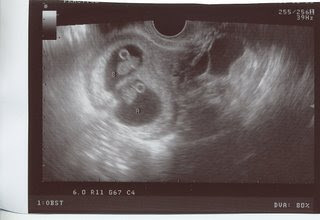 Here are "baby a" and "baby b" at 8 weeks 3 days. The little dark spots are the hearts! We heart them!